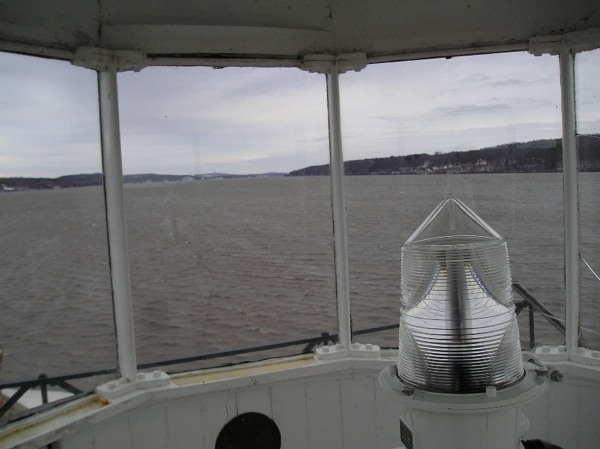 above: A view from the Lighthouse Tower lantern room, facing north and upstream on the Hudson River. In the foreground, the solar-powered LED beacon. The tower offers a vantage point for viewing the river, watching passing vessels, or observing weather conditions.